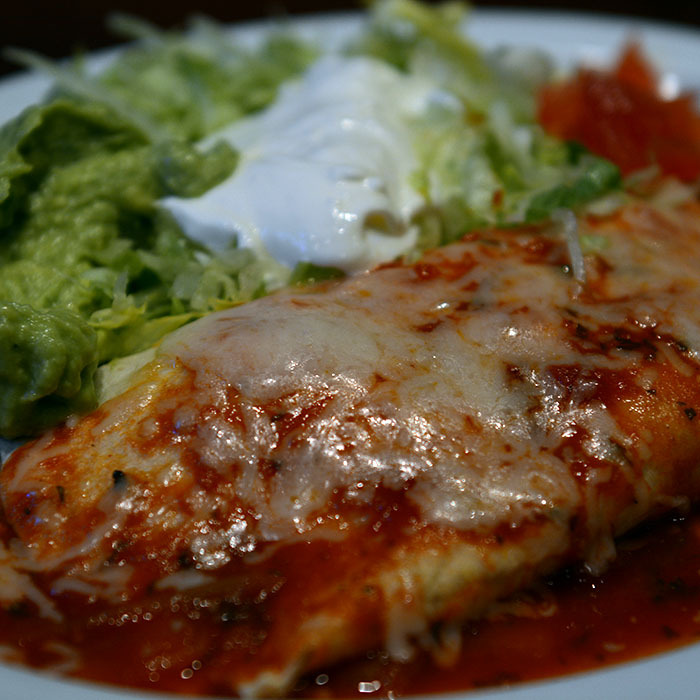 The "El Rancho Mexican Restaurant" was designed to make you feel as in a traditional Mexican ranch. A stone terrace with columns and a fireplace to begin the experience. The place is designed for you to relax and enjoy a sample of Mexican Culture. Families with children as well as big groups of friends or business are welcomed. We can even accommodate your group in a private room. We have a large bar semi-rounded, made of beautiful wood, fully stocked with liquors you may need for a great Margarita or any other drink of your desire. Installed television sets to watch sports or news around important events. We have learned that people like very much sitting around the bar before going to their tables, or have their meals right there at the bar while enjoying conversations and following sports. 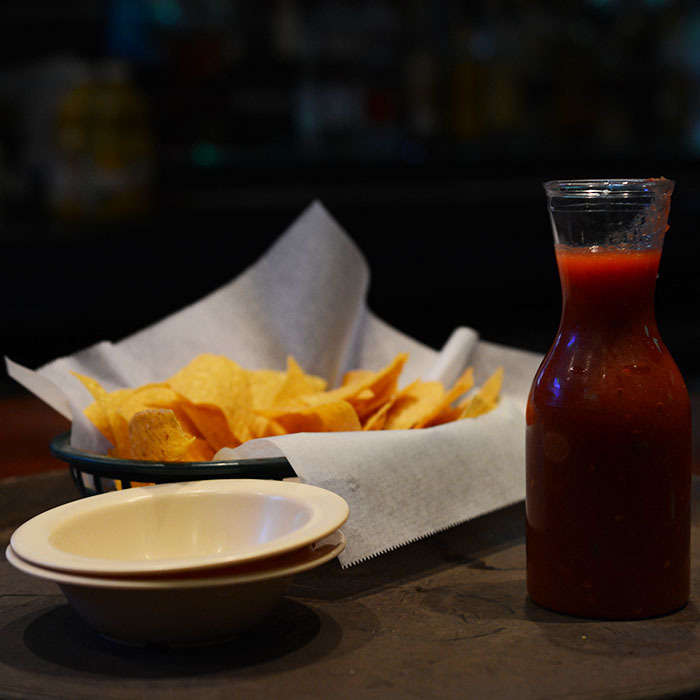 Our Mexican dishes are based on traditional roots and old recipes, with some of them blending with a little of southern US influence falling into what is known as Mexican Texan, or "Mex Tex". Some of our clients prefer the more traditional dishes while others enjoy trying new combinations both in their food and their beverages. As our food comes from Mexico, our service is also marked by the known Mexican warmth and friendliness - we invite you to experience our restaurant! When designing our restaurant one of the focus was to create spaces that feel almost as if sitting in a restaurant in a small Mexican town or city. Our inviting terrace was built as a beautiful Mexican Ranch Home, with stones, columns and even an outdoors fireplace. 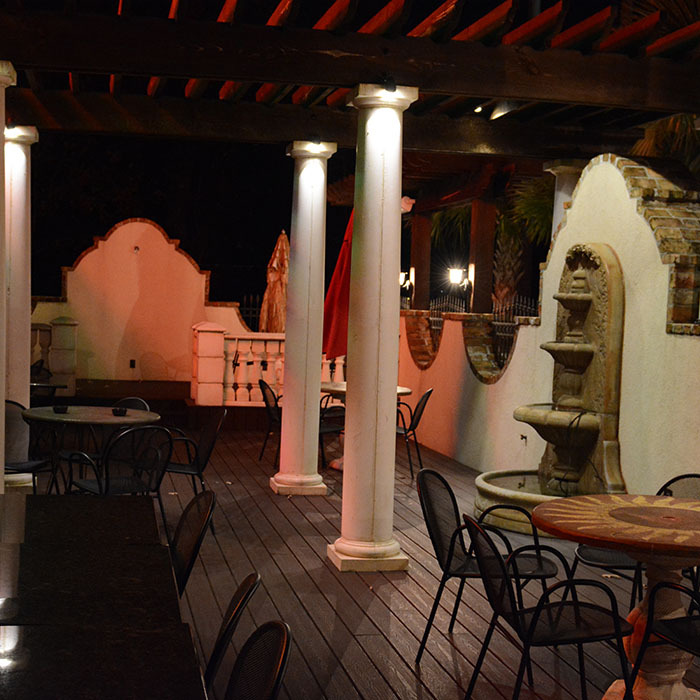 Come in and sit outside in the terrace to experience what would be eating and drinking in a "Mexican Rancho" ! 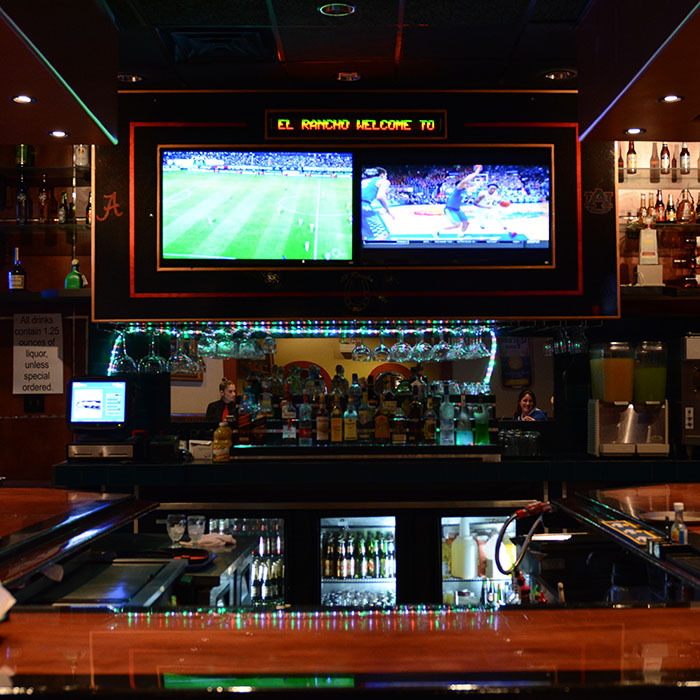 Our bar is large for a restaurant, and with the television screens it may even appear to be a bit of a sports bar! 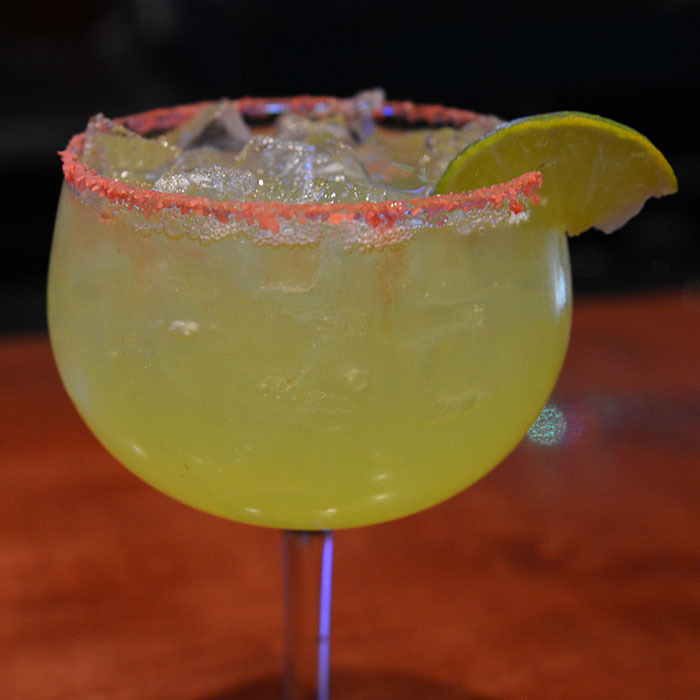 Ask for any drink from our extensive menu or just enjoy the best Margaritas. We designed it for you to enjoy it. We love watching people having great conversations and good laughs sitting around our bar. The beautiful wooden bar is inviting, just to have a good Margarita by yourself, or talk with friends and meet new people. 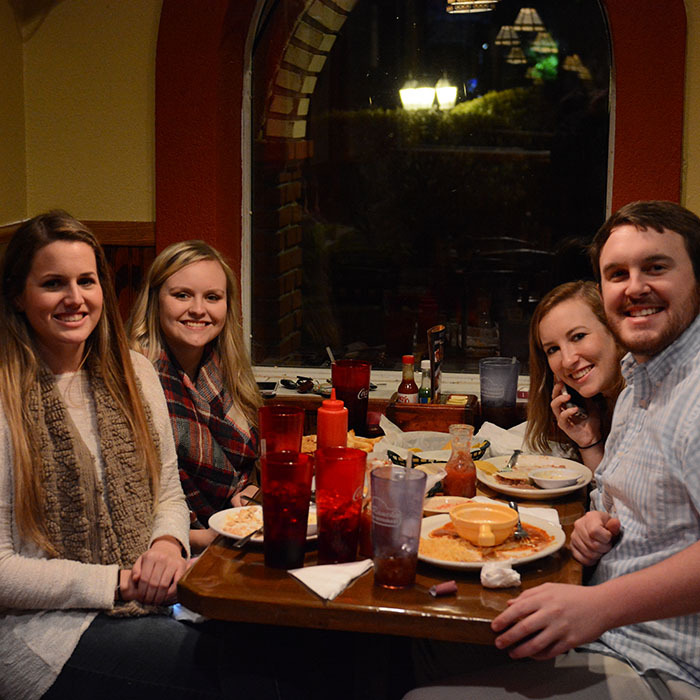 "El Rancho" was created by Ruben Gimenez, a well known restaurateur and entrepreneur in the Mobile and Baldwin County areas with many restaurants being developed by him since the 1980's. 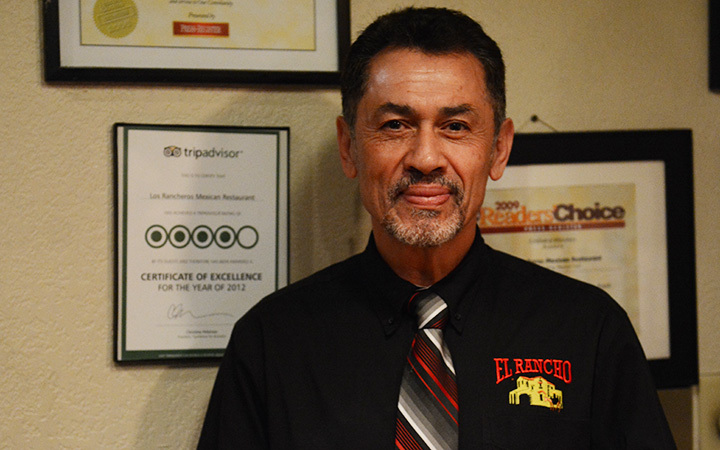 A more detailed story is in one of his other restaurants, Don Carlos. El Rancho, as it names implies it, was born with the idea of creating a setting in which you would feel as in a Mexican "Rancho", or Ranch. Thinking in providing functionality for a diverse clientèle of different and groups of different sizes not all the restaurant has the "Rancho ambiance" ambiance, the overall setting and especially the terrace will make you feel as if entering a beautiful Ranch House... That was our idea and purpose!